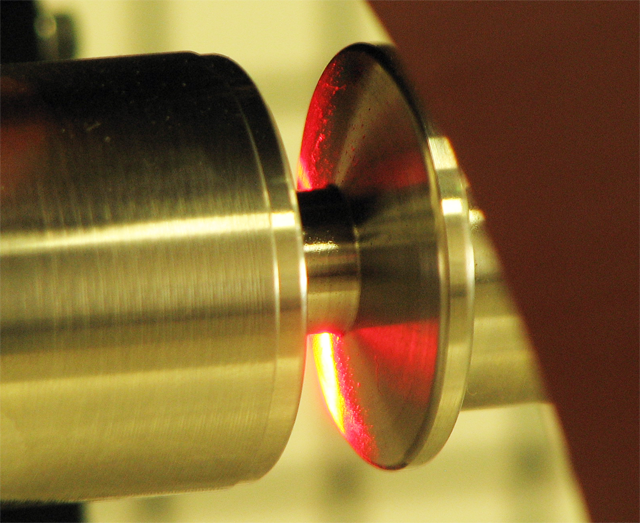 In the field of laser metrology two of the major concerns are accuracy and repeatability. These are crucial metrics for ensuring a system is performing as expected in its role to improve quality control. At Autonetics we have a rigorous development process that ensures our products are best in class, not just in the controlled conditions of the lab, but out in the real world. In this article we’re going to discuss the steps we take to create systems that are robust and reliable, particularly on the processing side of things. Proper testing is the backbone of creating a system that is robust. In our process, we employ testing strategies that exercise small independent pieces of our projects as well as the integrated system. Our validation process begins by creating discrete blocks of logic that are as small as possible. This allows us to feed test data into them, and compare results against expected output, particularly corner case values. This process is widely known as unit testing and is considered by many to be an essential process for creating robust and reliable software. Utilization of this technique allows early detection of defects, reliable validation of future changes and, our favorite, automation of parts of the validation process. Creating our software with unit testing in mind also has the side benefit of creating software structures that allow for quick isolation of faults and increased modularity (Being able to ‘drop in’ blocks of logic as needed). The next tier of testing is systems testing. This is a process of making sure all the various pieces of the software used in the system slot together and function correctly, from HMI to networking code. The goal is to ensure that each piece functions correctly, not just on its own, but as a part of the whole system, and that should any part encounter a problem, it doesn’t crash the whole system or produce erratic behavior. It’s designed to answer questions like: What happens if a sensor goes offline? What happens if a calculation fails? What happens if access to a file is blocked? The questions are limitless, and we think of new ones all the time. The goal is to answer them, and because of our software modularity, make sure they can stay answered going forward. In the software world, there’s an expression called ‘eating your own dogfood’, meaning you should use your products just like your customers do. The idea is that by doing so, you can gain some insight into what it’s like to be in the customer’s position and see the pain points that you have unintentionally created. We are strong adherents to this philosophy and use our own products extensively in the process of developing them, collecting and analyzing data. We think this approach has enabled us to create systems that are reliable and intuitive to use. For us, this all culminates in the gauge R&R, a statistical analysis used to evaluate the repeatability and reproducibility of a gauge measurement system. At Autonetics, the R&R doesn’t just serve as an analysis tool, but also a functional evaluation of the entire system. It is a process we use to collect and process data from the sensors and produce a meaningful result that meets the criteria of the system, allowing us to prove out the entire chain of actions. At the end of this process, we have a product that not only is sure to perform to our customer’s standards but also has gone through a rigorous process that ensures our gauge are industrial grade.